HETHERSETT HAWKS / MYHILL DECORATORS staged the first leg of a new format regional cup competition by hosting both Great Blakenham and Norwich. Several of the top Hethersett riders were unavailable but those that stepped up put in a good performance to keep in contact with the visitors. Leigh Cossey led the side well as always suffering just one defeat to Jonjo Slaughter and there was one win each for Owen Wells and Daniel Butler. Norwich were solid throughout and won despite an injury to Gary Colby. In the Division 2 match there was an interesting mix of veterans and youngsters which always proved entertaining. Hethersett just kept their scoreboard ticking over but it was close with a few races left. Paul Delaiche showed plenty of speed with four wins, his last a key victory over Jason Ashford. The match was finally settled when veteran Glyn Morgan , in his 12th race of the day, passed Keanu Bowers and opened up space for a 7-3 win with Dan Butler. The second of three legs is at Great Blakenham on September 30th. 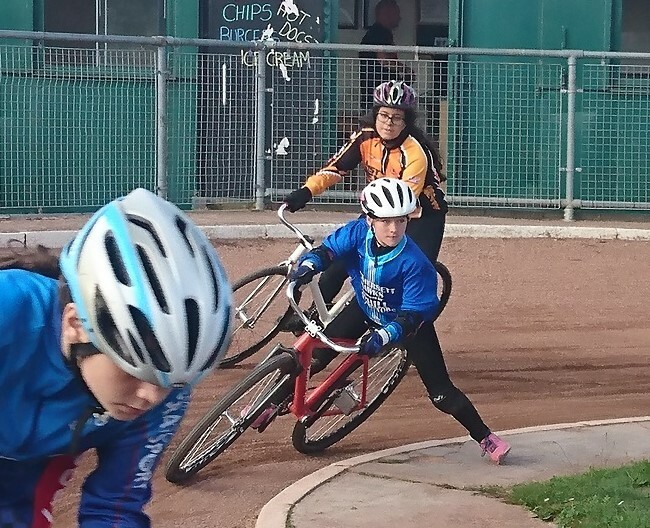 Four Hethersett riders went to Horspath (Oxford) to contest the final national round of the British Youth & Junior League. Best performance came from Paul Delaiche who won a heat in style and reached the B Final of the Juniors finishing fourth, one place behind Owen Wells. Josie Kell also excelled in the girls where she passed riders much older than herself to finish third in the C Final. Shaun Kell did not find the tight track to his liking but still won the C Final in the Under-10s. The Hawks are in the Regional Play-Offs at Ipswich on Sunday while on Saturday Owen Wells is in Poole for the Elite Junior Grand Prix and others will be at Hellingly in a South-East and Eastern Grand Prix.